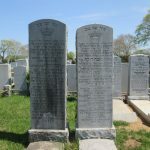 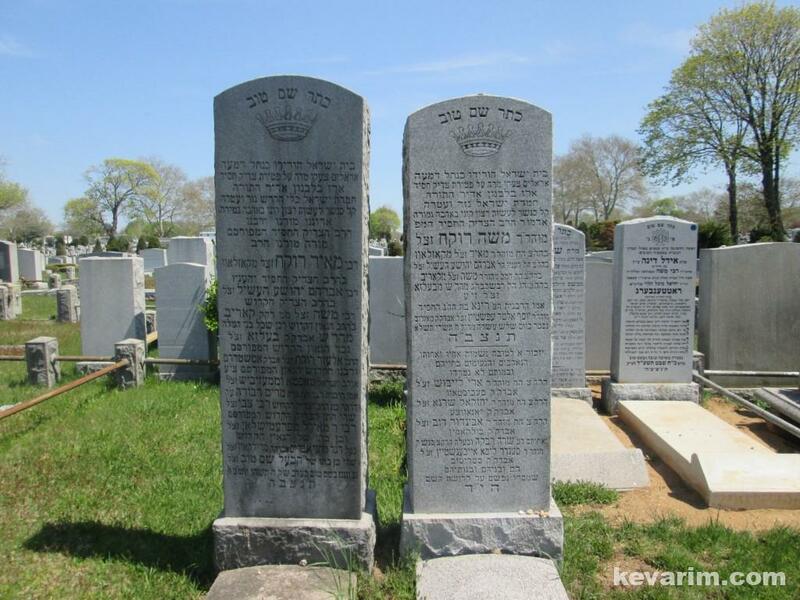 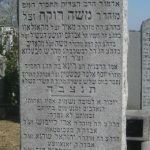 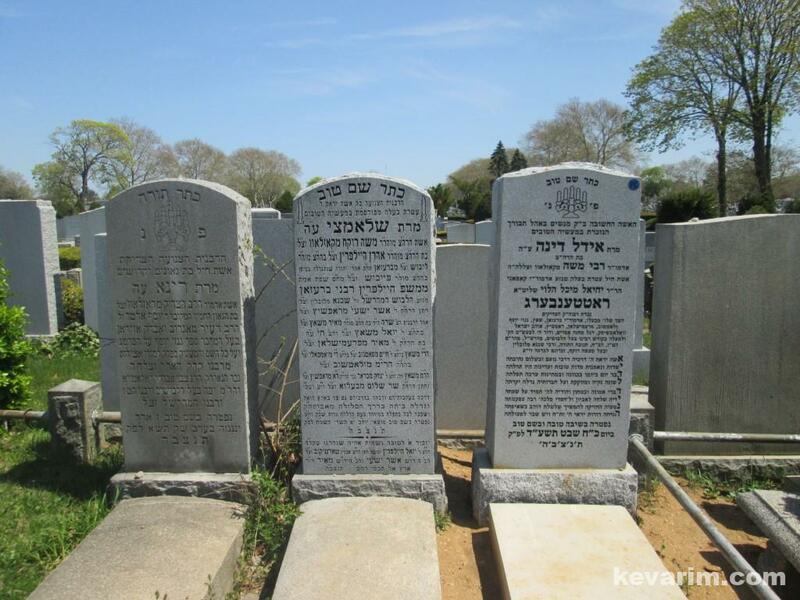 Directions to Kever: Beth David Cemetery in Elmont, NY maintains computerized records and will provide a detailed location map upon request. 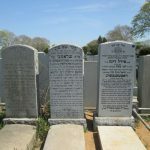 Location: Section: AA2, Along Emanual Avenue between Lincoln and Washington Avenue, (near to the 99'er Shul section, very visible). 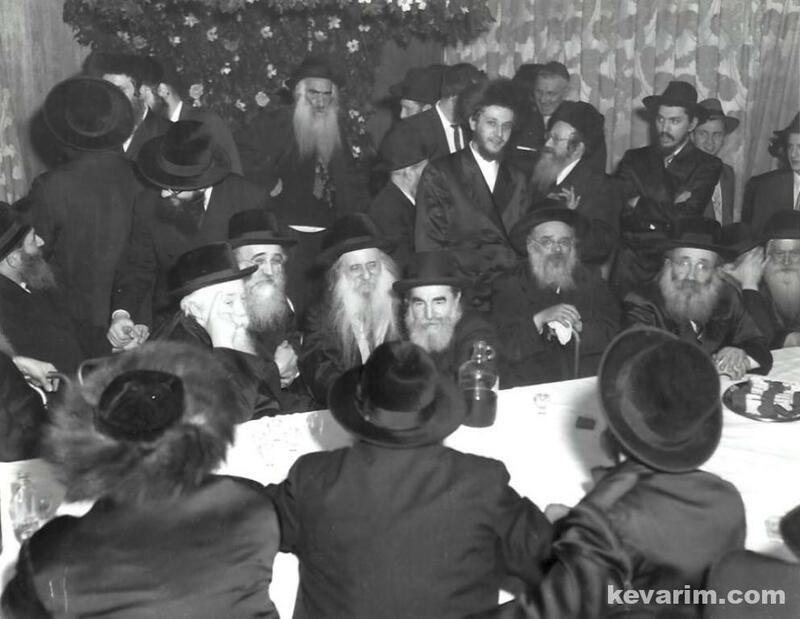 The Rebbe had a tremendous collection of old and rare seforim. 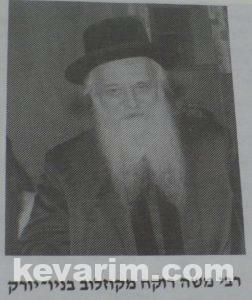 Today the collection is by his son Reb Meir the present Kozolover. At the end of the “Hadras Kodesh” Shulchan Aruch, there is a thanks to Reb Meir Rokach of Kosolov for use of his library.